I came across this device during my visit to the Museum of the Appalachia a few months ago. I have seen a lot of historical tools of the past but never anything quite like this. Can anyone speculate what I might have been used for? 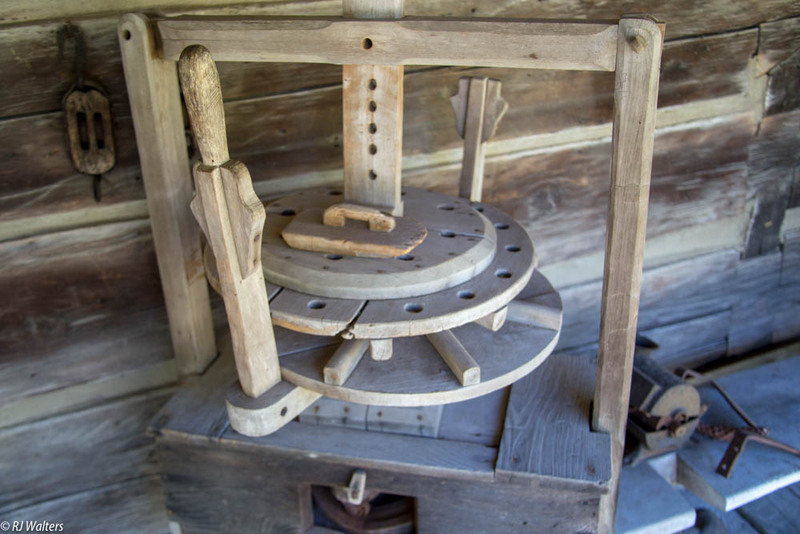 A cider press? I think you put the chopped up apples between the pressing rounds and screw down the top one to press the juice…at least that’s what it looks like to me. And the apples would be in a cloth bag–maybe burlap. That is definitely a possibility. Thanks MQ.